While the typical colour for a GardenRoom is white we can offer more in the way of choice, including a whitegrain finish helping to replicate the finish of painted timber, which is proving particularly popular. 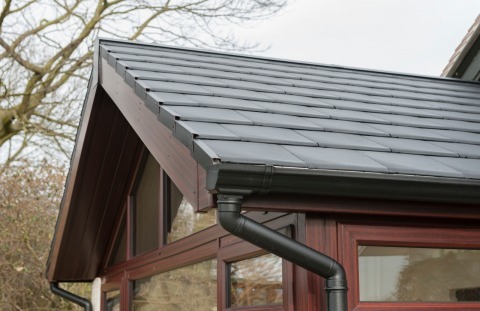 All the materials for the windows and doors are manufactured with an exact matching foiled finish of your choice, while the roof tile options can be harnessed to match the existing fabric of the house. With thousands of foiled conservatories and the latest GardenRooms across the UK, you can be reassured that they will offer a life expectancy well in excess of 30 years, needing just an occasional squirt of light oil on the handles and hinges. They have also been designed and engineered to withstand the harshest of climatic conditions from coastal areas to the more mountainous parts of the UK. Take a look at your property and consider the existing window colour, brickwork and GardenRoom design. 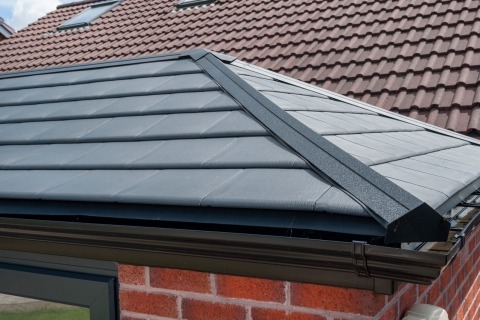 Our tile finishes colours include: slate grey, pewter grey, red and chestnut brown and carry a 25 year guarantee, with tests showing that they outperform traditional roofing materials. They are also fully recyclable and have been awarded Winner Of The Lord Stafford Award For Environmental Sustainability back in 2011.